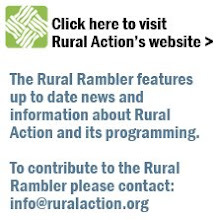 Here at Rural Action we are wishing this week for a microphone for our computer. We are currently exploring the world of podcasts and a microphone would sure help us out. If you would like to fulfill our wish please contact Robin at robin@ruralaction.org. If you would like to see the full Wish List, contact Robin at the address provided above.